As you can see it is nice and slushy frozen and oh so good! 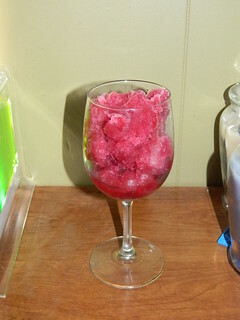 The next one I tried out was the Frozen Cosmopolitan Mixer. 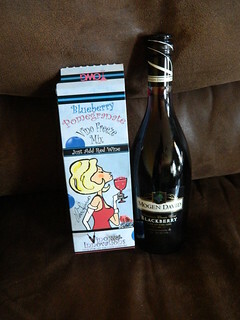 Now on the box it said to add vodka or white wine, but I decided to get a little wild and found a strawberry wine that looked good. The process was the same as far as mixing goes, but this time I used my brain and made it while breakfast was cooking so that by mid-afternoon it was ready for my tasting. When the temperature hit 90 degrees this afternoon I scooped out a glass and enjoyed. Not only was the taste amazing and different but it was a nice way to cool off while relaxing. 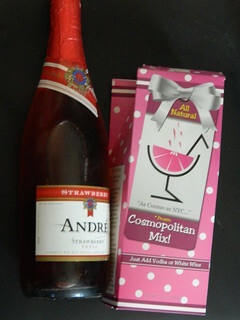 These are great ideas and for the price is a great way to increase not only the volume of your drink but the enjoyability. I highly recommend these as a great way to cool day on a hot summers day. They would also be good serve over ice if you were in a hurry or simply forgot to throw it in the freezer ahead of time!